Nineteen months after our arrival in Brazil, President José Sarney signed a Decree-Law permitting all illegal immigrants (estimated at about 500,000) to regularize their situation with the Departamento de Polícia Federal (DPF). Miracles do happen. Uneasiness clung to me the afternoon I accompanied my husband and two sons to the Federal Police Department in Fortaleza, capital of Ceará. Would we be deported? My husband led the way through the checkpoint at the entrance and onwards to the sector indicated. We were not the only foreigners seeking amnesty at the four-foot high counter. The Federal Police Officer who attended to us was soft-spoken and cordial. 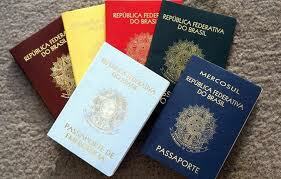 We presented our Guyanese passports with Brazilian Entry Stamps, showing location and date of entry. While we completed the Provisional Registration Forms, our restless four and six-year-old sons disappeared behind a door at one end of the waiting area. An officer appeared with them. His smile put me at ease. Later, armed with my Protocol from the DPF – valid for 180 days, awaiting a Registro Provisório (Provisional Register) – I went in search of a job. As mentioned in an earlier post (Brazilian Friend of the Heart, 16 Oct 2011), I obtained a secretarial position at a private school offering courses in British English and culture. 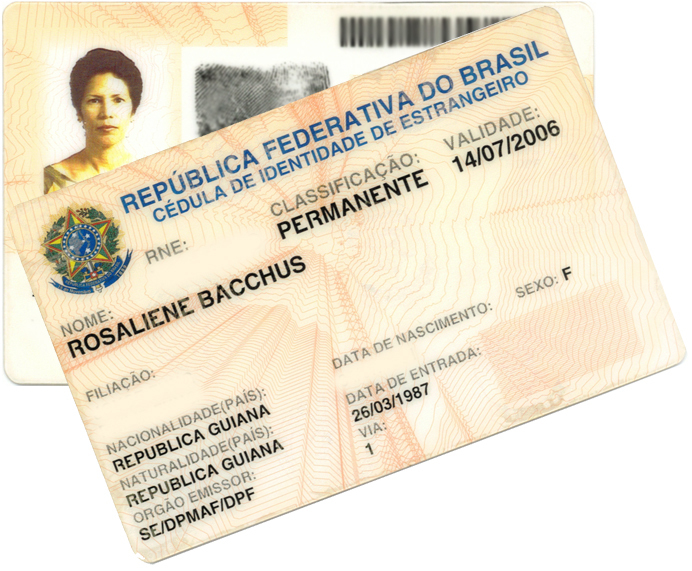 Our Registro Provisório was valid for two years. During that period, I worked at an import-export consultancy firm. When the DPF initiated our application process for permanent resident status, they renewed our Provisional Register for another two years. After paying our processing fees, we set about obtaining the necessary medical tests and documents required for submission to the Brazilian Immigration Authorities (DPMAF – Delegacia de Polícia Marítima, Aerea e de Fronteiras). Medical tests covered vision, auditory, lungs, heart, blood, urine, and stool. My handwritten Declaração de Bom Procedimento (Declaration of Good Conduct) outlined my place of residence, job title and functions, name and location of sons’ school, and my reasons for seeking permanent residence in Brazil. My employer also had to provide a declaration of my employment status with his firm. The Guyana Embassy in Brasília confirmed that we had no criminal record. Obtaining the Certidão de Antecedentes Criminais (Certificate of Criminal Records), took us to an unsavory place. Some of the people waiting in line increased my wariness. Our interrogation, in separate rooms, caused me even more concern for our safety. Although I was not mistreated, I felt like a crime suspect. What a relief when we left with our CACs, certifying “non-existence of criminal record”! At some point, at the Federal Police Department, a female official took our complete fingerprints from both hands. My sons had fun removing the ink from their fingertips with a bright pink, grainy paste. In another office, a photographer took head shots for DPF records and our ID cards. When my sons and I received our Brazilian ID Cards for Foreigners in 1994, I was managing the import/export operations of a large melon producer and exporter.